Professor Stephen Hawking is backing the academic boycott of Israel by pulling out of a conference hosted by Israeli president Shimon Peres in Jerusalem as a protest at Israel’s treatment of Palestinians. Hawking, 71, the world-renowned theoretical physicist and former Lucasian Professor of Mathematics at the University of Cambridge, had accepted an invitation to headline the fifth annual president’s conference, Facing Tomorrow, in June, which features major international personalities, attracts thousands of participants and this year will celebrate Peres’s 90th birthday. Hawking’s decision marks another victory in the campaign for boycott, divestment and sanctions targeting Israeli academic institutions. In April the Teachers’ Union of Ireland became the first lecturers’ association in Europe to call for an academic boycott of Israel, and in the United States members of the Association for Asian American Studies voted to support a boycott, the first national academic group to do so. In the four weeks since Hawking’s participation in the Jerusalem event was announced, he has been bombarded with messages from Britain and abroad as part of an intense campaign by boycott supporters trying to persuade him to change his mind. In the end, Hawking told friends, he decided to follow the advice of Palestinian colleagues who unanimously agreed that he should not attend. Hawking’s decision met with abusive responses on Facebook, with many commentators focusing on his physical condition, and some accusing him of antisemitism. Noam Chomsky, a prominent supporter of the Palestinian cause, has said that he supports the “boycott and divestment of firms that are carrying out operations in the occupied territories” but that a general boycott of Israel is “a gift to Israeli hardliners and their American supporters”. Hawking has visited Israel four times in the past. Most recently, in 2006, he delivered public lectures at Israeli and Palestinian universities as the guest of the British embassy in Tel Aviv. At the time, he said he was “looking forward to coming out to Israel and the Palestinian territories and excited about meeting both Israeli and Palestinian scientists”. Israel Maimon, chairman of the presidential conference said: “This decision is outrageous and wrong. In 2011, the Israeli parliament passed a law making a boycott call by an individual or organisation a civil offence which can result in compensation liable to be paid regardless of actual damage caused. It defined a boycott as “deliberately avoiding economic, cultural or academic ties with another person or another factor only because of his ties with the State of Israel, one of its institutions or an area under its control, in such a way that may cause economic, cultural or academic damage”. • This article was amended on 8 May 2013. 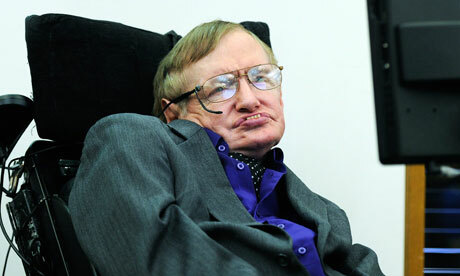 The original described Hawking as Lucasian Professor of Mathematics at the University of Cambridge. He stepped down in 2009. Hi there! I met you at the Norman Finkelstein talk in Fullerton a few days ago. I am the Basque lady you took a picture of. Please, contact me!